Blended learning has been growing in popularity as it has proved to be an effective approach for accommodating an increasingly diverse student population whilst adding value to the learning environment through incorporation of online teaching resources. Despite this growing interest, there is ongoing debate about the definition of the concept of blended learning. As a result, teachers in higher education have developed different understandings of the term and different design approaches have evolved. Selecting the most appropriate design approach for a blended course is a major challenge for many teachers in higher education institutions who are new to the idea of blended learning. This paper aims to provide guidance to help teachers of traditional face-to-face courses in selecting the most appropriate approach to use when designing their blended courses. Firstly, it discusses the different definitions of the term blended learning and how they have resulted in a number of design approaches. It then classifies these approaches into: low-impact, medium-impact and high-impact blends according to the potential changes to the existing teaching program and student learning experience. Finally, it describes the benefits and the challenges of applying each approach and provides recommendations about when and how each approach should be used. Alammary, A., Sheard, J. & Carbone, A. (2014). Blended learning in higher education: Three different design approaches. Australasian Journal of Educational Technology, 30 (4),. Australasian Society for Computers in Learning in Tertiary Education. Retrieved April 24, 2019 from https://www.learntechlib.org/p/148495/. Amiel, T., & Orey, M. (2006). Do you have the time? Investigating online classroom workload. Journal of Educational Technology Systems, 35, 31-43. Bliuc, A.-M., Goodyear, P., & Ellis, R.A. (2007). Research focus and methodological choices in studies into students' experiences of blended learning in higher education. The Internet and Higher Education, 10, 231-244. Boyle, T., Bradley, C., Chalk, P., Jones, R., & Pickard, P. (2003). Using blended learning to improve student success rates in learning to program. Journal of Educational Media, 28, 165-178. Brunner, D.L. (2006). The potential of the hybrid course vis-à-vis online and traditional courses. Teaching Theology & Religion, 9, 229-235. Cennamo, K.S., Ross, J.D., & Ertmer, P.A. (2009). Technology integration for meaningful classroom use: A standards-based approach. Belmont, California: Wadsworth. Chen, W., & Looi, C. (2007). Incorporating online discussion in face to face classroom learning: A new blended learning approach. Australasian Journal of Educational Technology, 23, 307-326. Deperlioglu, O., & Kose, U. (2013). The effectiveness and experiences of blended learning approaches to computer programming education. Computer Applications in Engineering Education, 21, 328-342. Duhaney, D.C. (2004). Blended learning in education,training, and development. Performance Improvement, 43(8), 35-38. Ertmer, P.A, & Ottenbreit-Leftwich, A.T. (2010). Teacher technology change: How knowledge, confidence, beliefs, and culture intersect. Journal of Research on Technology in Education, 42, 255284. Garrison, D.R., & Kanuka, H. (2004). Blended learning: Uncovering its transformative potential in higher education. The Internet and Higher Education, 7, 95-105. Garrison, D.R., & Vaughan, N.D. (2011). Blended learning in higher education: Framework, principles, and guidelines. San Francisco: John Wiley & Sons. Graham, C.R. (2009). Blended learning models. Encyclopedia of Information Science and Technology, 375-382. Hershey, PA: IGI Global. Graham, C.R. (2012a). Blended learning systems: Definition, current trends, and future directions. In C.J. Bonk & C.R. Graham (Eds. ), Handbook of blended learning: Global perspectives, local designs (pp. 3-21). San Francisco, CA: John Wiley & Sons. Huang, R., & Zhou, Y. (2005). Designing blended learning focused on knowledge category and learning activities. In C.J. Bonk & C.R. Graham (Eds. ), Handbook of blended learning: Global perspectives, local designs (pp. 296-310). San Francisco, CA: Pfeiffer Publishing. Littlejohn, A., & Pegler, C. (2007). Preparing for blended e-learning. Abingdon, Oxon: Taylor & Francis. McCarthy, J. (2010). Blended learning environments: Using social networking sites to enhance the first year experience. Australasian Journal of Educational Technology, 26, 729-740. Ocak, M.A. (2011). Why are faculty members not teaching blended courses? Insights from faculty members. Computers & Education, 56, 689-699. Oliver, M., & Trigwell, K. (2005). Can ‘blended learning’ be redeemed? E-learning and Digital Media, 2, 17-26. Osguthorpe, R.T., & Graham, C.R. (2003). Blended learning environments: Definitions and directions. Quarterly Review of Distance Education, 4, 227-233. Picciano, A.G. (2009). Blending With Purpose: The Multimodal Model. Journal of the Research Center for Educational Technology (RCET), 5(1), 4-14. Ross, B., & Gage, K. (2006). Global perspectives on blending learning: Insight from WebCT and our customers in higher education. In C.J. Bonk & C.R. Graham (Eds. ), Handbook of blended learning: Global perspectives, local designs (pp. 155-168). San Francisco, CA: Pfeiffer Publishing. Torrisi-Steele, G., & Davis, G. (2000). “A website for my subject”: The experiences of some academics’ engagement with educational designers in a team based approach to developing online learning materials. 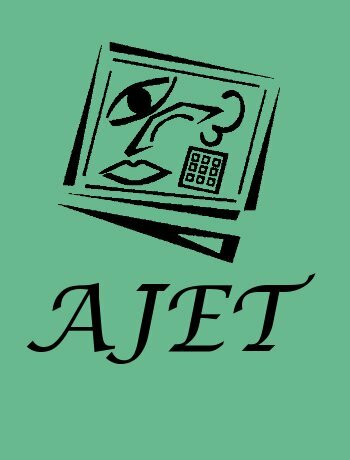 Australian Journal of Educational Technology, 16, 283-301. Wozney, L., Venkatesh, V., & Abrami, Pp. (2006). Implementing computer technologies: Teachers' perceptions and practices. Journal of Technology and Teacher Education, 14, 173-207.